A recent study looked at 2 specific antioxidant levels in a variety of mushroom species. Mushrooms are an excellent source of nutrients, such as riboflavin and other B vitamins, selenium, copper, potassium, dietary fiber, as well as high levels of antioxidants ergothioneine (ERGO) and glutathione (GSH). The study found the highest levels of these antioxidants in yellow oyster and porcini mushrooms. Ergothioneine (ERGO), which is found throughout the human body, is a critical antioxidant that acts with other antioxidants to protect against oxidative stress in the mitochondria (in our cells). What foods are good sources of ERGO? Mushrooms have the highest levels, but other foods with high ERGO content include red beans, black beans, kidney beans, oat bran, liver, and king crab. Mushrooms may contain unusually high amounts of two antioxidants that some scientists suggest could help fight aging and bolster health, according to a team of Penn State researchers. In a study, researchers found that mushrooms have high amounts of the ergothioneine and glutathione, both important antioxidants, said Robert Beelman, professor emeritus of food science and director of the Penn State Center for Plant and Mushroom Products for Health. He added that the researchers also found that the amounts the two compounds varied greatly between mushroom species. Beelman said that when the body uses food to produce energy, it also causes oxidative stress because some free radicals are produced. Free radicals are oxygen atoms with unpaired electrons that cause damage to cells, proteins and even DNA as these highly reactive atoms travel through the body seeking to pair up with other electrons. 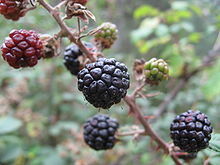 Replenishing antioxidants in the body, then, may help protect against this oxidative stress. According to the researchers, who report their findings in a recent issue of Food Chemistry, the amounts of ergothioneine and glutathione in mushrooms vary by species with the porcini species, a wild variety, containing the highest amount of the two compounds among the 13 species tested. 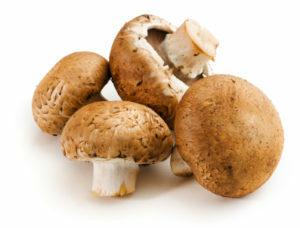 The more common mushroom types, like the white button, had less of the antioxidants, but had higher amounts than most other foods, Beelman said....Mushrooms that are high in glutathione are also high in ergothioneine, for example. Cooking mushrooms does not seem to significantly affect the compounds, Beelman said. Antioxidants can double the rate of melanoma metastasis in mice, new research shows. The results reinforce previous findings that antioxidants hasten the progression of lung cancer. People with cancer or an elevated risk of developing the disease should avoid nutritional supplements that contain antioxidants, the researchers say. Researchers at Sahlgrenska Academy, University of Gothenburg, demonstrated in January 2014 that antioxidants hastened and aggravated the progression of lung cancer. Mice that were given antioxidants developed additional and more aggressive tumors. Experiments on human lung cancer cells confirmed the results. Given well-established evidence that free radicals can cause cancer, the research community had simply assumed that antioxidants, which destroy them, provide protection against the disease. Found in many nutritional supplements, antioxidants are widely marketed as a means of preventing cancer. Because the lung cancer studies called the collective wisdom into question, they attracted a great deal of attention. The follow-up studies at Sahlgrenska Academy have now found that antioxidants double the rate of metastasis in malignant melanoma, the most perilous type of skin cancer. Science Translational Medicine published the findings on October 7. "As opposed to the lung cancer studies, the primary melanoma tumor was not affected," Professor Bergö says. 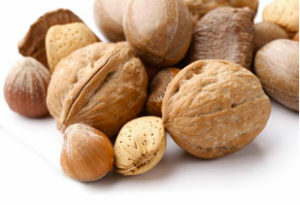 "But the antioxidant boosted the ability of the tumor cells to metastasize, an even more serious problem because metastasis is the cause of death in the case of melanoma. The primary tumor is not dangerous per se and is usually removed." Experiments on cell cultures from patients with malignant melanoma confirmed the new results. "We have demonstrated that antioxidants promote the progression of cancer in at least two different ways," Professor Bergö says. The overall conclusion from the various studies is that antioxidants protect healthy cells from free radicals that can turn them into malignancies but may also protect a tumor once it has developed. Avoid supplements: Taking nutritional supplements containing antioxidants may unintentionally hasten the progression of a small tumor or premalignant lesion, neither of which is possible to detect. "Previous research at Sahlgrenska Academy has indicated that cancer patients are particularly prone to take supplements containing antioxidants," Dr. Bergö says. Our current research combined with information from large clinical trials with antioxidants suggests that people who have been recently diagnosed with cancer should avoid such supplements." The role of antioxidants is particularly relevant in the case of melanoma, not only because melanoma cells are known to be sensitive to free radicals but because the cells can be exposed to antioxidants by non-dietary means as well. "Skin and suntan lotions sometimes contain beta carotene or vitamin E, both of which could potentially affect malignant melanoma cells in the same way as antioxidants in nutritional supplements," Professor Bergö says. How antioxidants in lotions affect the course of malignant melanoma is currently being explored. "We are testing whether antioxidants applied directly to malignant melanoma cells in mice hasten the progression of cancer in the same way as their dietary counterparts," Professor Bergö says. As if you weren’t already drinking a lot of coffee, a review of several studies has found drinking three to five cups a day could reduce risk of Alzheimer’s disease by 20 percent. The research was presented at the 2014 Alzheimer Europe Annual Congress, and found that people who drank coffee regularly — all you lifers out there — were less likely to develop the debilitating disease. Alzheimer’s, perhaps the worst type of dementia, is a progressive disease that works slowly, first making it difficult to remember newly learned things, and later on making it difficult to remember early memories and family member’s faces, while also causing hallucinations. The biggest risk factor for the disease is being over 65 years old. Roughly 83 percent of American adults drink coffee, according to the National Coffee Association. What many of these Americans don’t know, however, is that inside that cup of Joe is a wealth of polyphenols, which you probably know as antioxidants. These antioxidants — researchers said they’re the same ones found in the Mediterranean diet — prevent the formation of a hallmark of Alzheimer’s disease known as amyloid plaques and neurofibrillary tangles, the study found. They also reduce inflammation and deterioration of brain cells, particularly in the areas of the brain (the hippocampus and cortex) responsible for memory. Along with prevention of Alzheimer’s, coffee has been linked to a reduced risk of liver cancer and other liver conditions, a lower risk of type 2 diabetes; it prevents eye damage and Parkinson’s disease; and even boosts endurance. But even then, drinking too much isn’t good, either. As the researchers noted, three to five cups is optimal; anything over that, and you might find yourself with some problems. The antioxidant activity of citrus juices and other foods is undervalued, experts say. A new technique for measuring this property generates values that are ten times higher than those indicated by current analysis methods. The results suggest that tables on the antioxidant capacities of food products that dieticians and health authorities use must be revised. Orange juice and juices from other citrus fruits are considered healthy due to their high content of antioxidants, which help to reduce harmful free radicals in our body, but a new investigation shows that their benefits are greater than previously thought. In order to study these compounds in the laboratory, techniques that simulate the digestion of food in the digestive tract are used, which analyse only the antioxidant capacities of those substances that can potentially be absorbed in the small intestine: the liquid fraction of what we eat. "The problem is that the antioxidant activity of the solid fraction (the fibre) isn't measured, as it's assumed that it isn't beneficial. However, this insoluble fraction arrives at the large intestine and the intestinal microbiota can also ferment it and extract even more antioxidant substances, which we can assess with our new methodology," José Ángel Rufián Henares, professor at the University of Granada, explains. His team has developed a technique called 'global antioxidant response' (GAR), which includes an in vitro simulation of the gastrointestinal digestion that occurs in our body, whilst taking into account the 'forgotten' antioxidant capacity of the solid fraction. "The antioxidant activity is, on average, ten times higher than that which everyone thought up until now, and not just in juices, but also in any other kind of food analysed with this methodology," highlights Rufián Henares, who notes its possible application: "This technique and the results derived from it could allow dieticians and health authorities to better establish the values of the antioxidant capacity of foods." 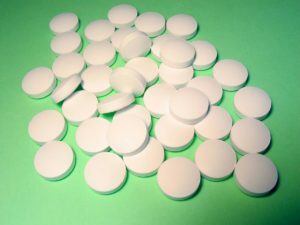 For decades, health-conscious people around the globe have taken antioxidant supplements and eaten foods rich in antioxidants, figuring this was one of the paths to good health and a long life.Yet clinical trials of antioxidant supplements have repeatedly dashed the hopes of consumers who take them hoping to reduce their cancer risk. Virtually all such trials have failed to show any protective effect against cancer. In fact, in several trials antioxidant supplementation has been linked with increased rates of certain cancers. In one trial, smokers taking extra beta carotene had higher, not lower, rates of lung cancer. Two cancer researchers have proposed why antioxidant supplements might not be working to reduce cancer development, and why they may actually do more harm than good. Their insights are based on recent advances in the understanding of the system in our cells that establishes a natural balance between oxidizing and anti-oxidizing compounds. These compounds are involved in so-called redox (reduction and oxidation) reactions essential to cellular chemistry. Drs. Tuveson and Chandel propose that taking antioxidant pills or eating vast quantities of foods rich in antioxidants may be failing to show a beneficial effect against cancer because they do not act at the critical site in cells where tumor-promoting ROS (reactive oxygen species) are produced -- at cellular energy factories called mitochondria. Rather, supplements and dietary antioxidants tend to accumulate at scattered distant sites in the cell, "leaving tumor-promoting ROS relatively unperturbed," the researchers say. Quantities of both ROS and natural antioxidants are higher in cancer cells -- the paradoxically higher levels of antioxidants being a natural defense by cancer cells to keep their higher levels of oxidants in check, so growth can continue. In fact, say Tuveson and Chandel, therapies that raise the levels of oxidants in cells may be beneficial, whereas those that act as antioxidants may further stimulate the cancer cells. Interestingly, radiation therapy kills cancer cells by dramatically raising levels of oxidants. The same is true of chemotherapeutic drugs -- they kill tumor cells via oxidation.